* To lock or position the camshaft and the timing chain tensioner during engine repairs. * To remove and install the water pump. 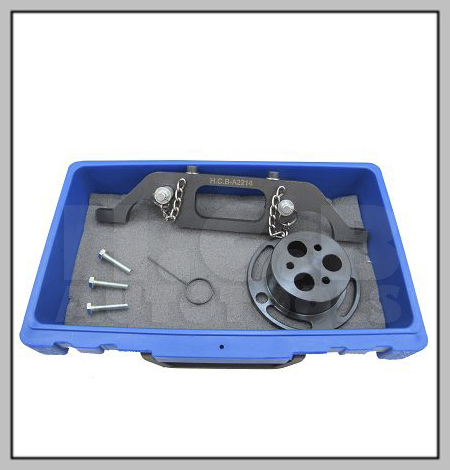 It is necessary to lock the water pump belt pulley by means of the tool. disturbed for 2.2 chain drive Vauxhall / Opel engines. * Applications: Opel Twin Cam 2.2 16V petrol engines Astra, Signum, Speedster, Vectra and Zafira etc.